Kaylyn is elated to be a princess for Princess Ever After. 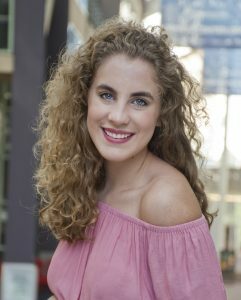 She is currently studying Musical Theatre at the University of Colorado Boulder. She has been very involved with the theatre community in Denver and Parker and at her high school. Some of her favorite roles include Fruma Sarah in “Fiddler on the Roof” and Roxane in “Cyrano de Bergerac”. Kaylyn has been always been in love with princesses. She was humming “The Little Mermaid” before she could speak. She can’t wait to share her love for magic and fairytales with your children.